Tiana Smith is the author of young adult contemporary romance, Match Me If You Can (Swoon Reads/Macmillan 1/2019). 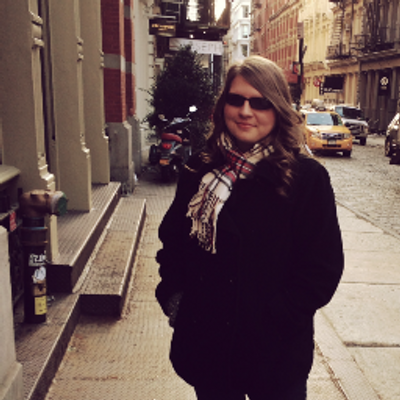 She serves as the Communications Chair for the Storymakers Guild and is passionate about helping teens. She is a graduate of Westminster College, earning degrees in Honors and English, with a focus in creative writing. Tiana is represented by Eric Smith of P.S. Literary. Visit the author at www.tianasmith.com, follow her on Twitter @tiana_smith, or find her on Instagram @smith.tiana. Have you ever seen the movie She's the Man? If so, we can be friends. If not, go watch it now. I'll wait. The beginning menu of the movie sums it up by saying something like "Duke wants Olivia, who likes Sebastian, who is really Viola, whose brother is dating Monique, so she hates Olivia, who's with Duke to make Sebastian jealous, who is really Viola, who's crushing on Duke..."
And it's this convoluted mess of relationships that basically stems down to the fact that there's a girl who likes a boy that she shouldn't. I kept wondering, what if there's a girl who likes a boy, and she has the ability to actually make that relationship happen? And what if fate has someone better in store for her, who wasn't on her radar? Someone persistent, a little suave, and a whole lot swoonworthy? It'd probably get just as convoluted. I wanted to read that story, so I had to write it! Well, Logan was partly inspired by my husband (I even stole some of his lines—with his permission, of course) so I gotta go with Logan on this one. When I was in high school, I wrote for the Opinion section. I am very opinionated, haha. Just keep trying! Writing is hard, and there are a lot of obstacles in your way if you want to get published. Every author has faced rejection. But once they faced that rejection (multiple times, usually), they kept going. The beginning! I have at least ten different versions of the beginning saved on my computer. And trust me, each version was vastly different. The hard part about re-doing the beginning so many times is that you have to adjust the entire novel to fit with the new content you put there. Such a headache. I really enjoyed writing Logan and his flirty ways. Such a charmer! I could see him perfectly in my mind and he always stole every scene I put him in. Those characters, the kind that take on a life of their own, are really the best. I’d say she does a mixture of things. Yes, she goes off the results of her questionnaire, especially for the people that she doesn’t know too well. But a lot of it is done off instinct. When it involves her friends, she doesn’t even really need the questionnaire at all because she already has someone in mind for them. She’s always thinking of the next match. If she’s ever unsure, she’ll sit on it for a few days and watch people closely. Robyn is the queen of observation and people watching. I’m working on my next book and I’m so excited about it! First of all, I’m excited because, hello, I get to have another book published and in the world! But I’m also thrilled because the story is a mash up of You’ve Got Mail and high school speech and debate, and that just makes my geeky heart so happy. It will come out about a year after MATCH ME IF YOU CAN, and it’s actually on Goodreads now! I want to learn sign language! So so so badly. My husband is actually deaf in one ear, and his other ear is slowly getting worse over time. So, we have plans as a family to learn sign language together. I’m awful at languages, so wish me luck! 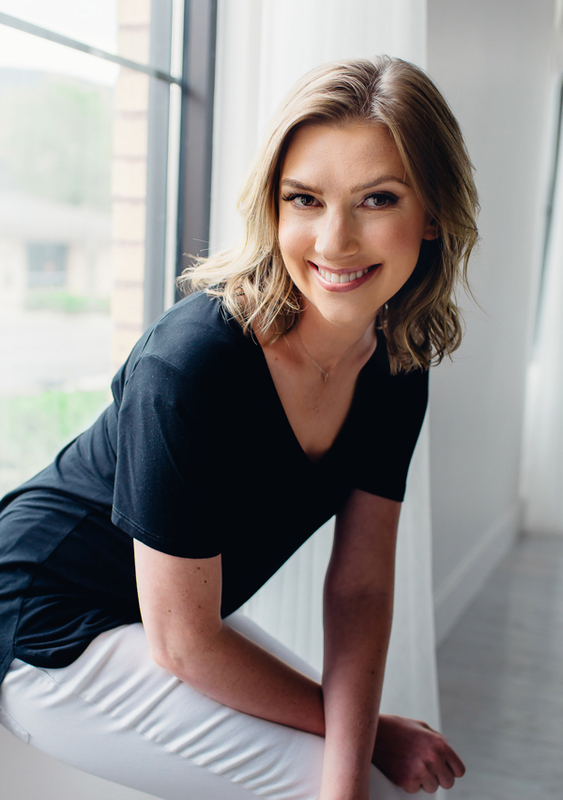 Thank you for joining us on the blog today, Tiana Smith! I just finished Match Me If You Can and it absolutely needs to be on your radar. It's adorable, realistic, and definitely swoonworthy! My review will be up tomorrow so be sure to stay tuned. 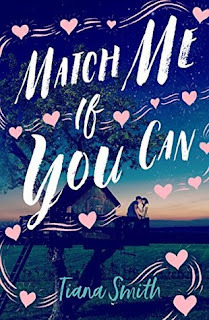 Match Me If You Can was published on January 8, 2019. Mia's best friend Robyn is known for her matchmaking skills, which is perfect, because homecoming is just around the corner. But Robyn refuses to set Mia up with the guy of her dreams, which forces Mia to take matters into her own hands. 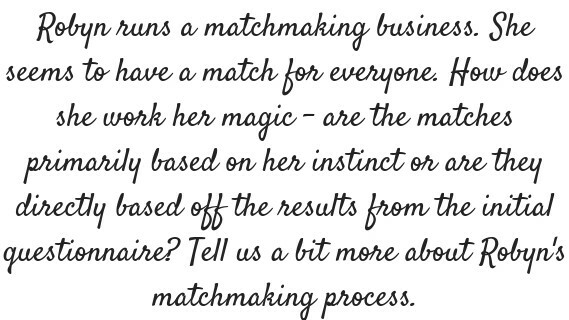 She uses Robyn's matchmaking service to make sure popular Vince Demetrius falls for her. Vince asks her out, but Mia doesn't count on Logan, the persistent school newspaper photographer who seems to like her out of the blue. Now she has to choose between Vince - the guy she knows is right for her - and Logan, who insists that she give him a chance. And she needs to make sure Robyn doesn't find out that Mia's been matchmaking behind her back. Mia has two weeks before homecoming. Can she fix the mess she made or will she have to kiss her perfect match goodbye forever?